We had to go out to the mall today and decided to eat lunch while we were out there. We had decided on Shake Shack when we passed by Joe’s Crab Shack. After a long pause, Nathan chimed in…. 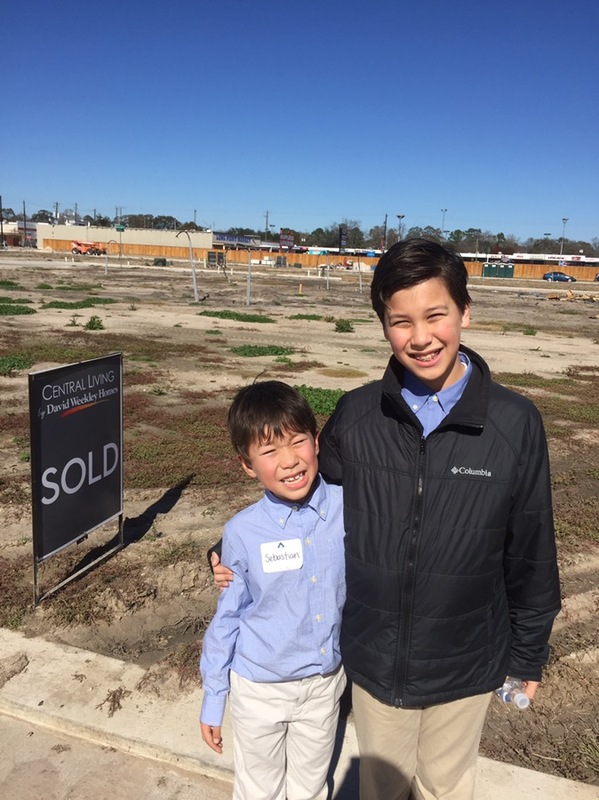 Sebastian and Nathan in front of our new house in Houston. Yes, he might just have a career in marketing! Yeah. Never believe them when they say “move-in ready”! Quite airy with plenty of natural light…. Ha! His oricessing is on a completely different plane! Ha! For some reason, auto-correct chose “oricessing” instead of “processing”. Uh, oh, Dad. He’s at that age. Unless everyone enunciates everything clearly, he’ll never stop laughing. Tell me about it. The word “peanuts” reduces him to hysterics….